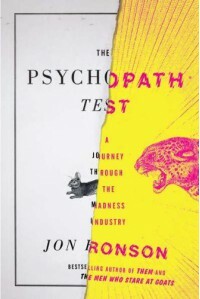 Some really interesting stuff but it wasn't what I was expecting, which was a book with facts about psychopaths, and that turned me off slightly. After a bit into the book that went away and I started to enjoy the book for what it was, a story of a guy getting a first glance into the world of psychology while searching for psychopaths. The book will make you think and doubt and believe, that alone is worth it.